Dualit's Stoneware cordless jug kettle offers an upright format kettle with a different pouring action to more traditional dome shaped kettles and a contemporary textured matt finish. The hinged easy-fill lid has a large heatproof knob with finger guard to prevent burning. A rapid-boil concealed element heats the water quickly and has its own boil-dry safety cut-out. The Lite Kettle uses a powerful element for a faster boiling time. The element is concealed in the base of the kettle, away from water contact to reduce limescale damage. The boil-dry safety feature switches the kettle off if it's empty. The viewing window has easy-to read cup level indicators. Fill the kettle with just the right amount of water you need to boil, down to just one cup, saving time and energy. The Lite Kettle is easy to fill, lift and pour. It has a contoured spout that ensures water won't drip onto your kettle or your worktop. The handle is heatproof and easy to grip and the hinged lid opens fully for easy filling. 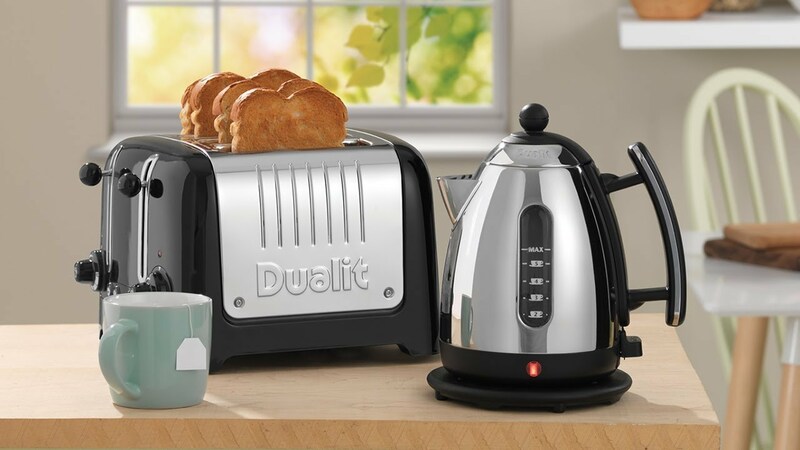 Dualit Jug kettles are awarded the Which? Magazine "Best Buy"